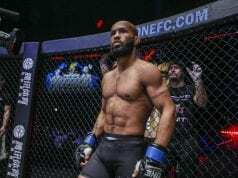 Could Demetrious Johnson be calling it a career soon? Well, “Mighty Mouse” will hang his gloves up one day, but according to the 12-time UFC champion, that day won’t come for some time yet. 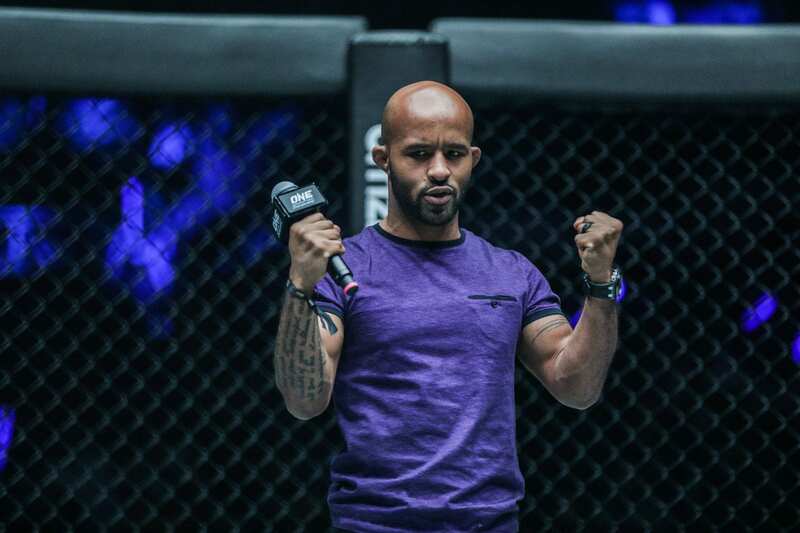 The ONE Championship flyweight recently made his promotional debut at March 31’s A New Era. He submitted Yuya Wakamatsu with a brutal standing guillotine. The future is bright for him in ONE and he put his loss to Henry Cejudo behind him. Today, he opened up about how long he plans to stay fighting. “I give myself five more years in mixed martial arts then I’m done,” Johnson said on Ariel Helwani’s MMA Show (h/t bjpenn.com). “Five years, I’ll be 37, I’ll be old. At the end of the day, the biggest thing I’ll say, the difference… It’s been since 2011… Was the last time I fought at 135 [pounds]. And for me making this weight cut… Or weighing in at 135… My body’s being able to recover a lot faster. The former UFC champion then revealed that he didn’t want to get hurt by one big shot like Eddie Alvarez did in his ONE debut. Johnson planned to call it a day before he reached that time. Five years is a long time in MMA. Especially in Japanese mixed martial arts where proportions are much more flexible with their contracted fighters. They often allow their fighters to compete in kickboxing, pro-wrestling, and grappling matches. Johnson’s next bout will be in the ONE flyweight tournament. He will face the winner of the Tatsumitsu Wada vs. Gustavo Balart contest that takes place at ONE: Roots of Honor this Friday night, April 12, 2019.